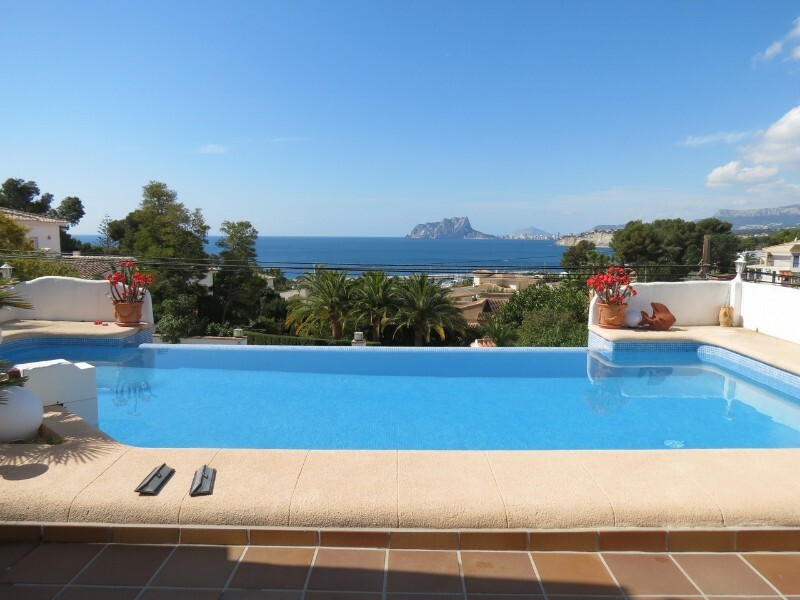 Villa with seaview for sale in Moraira. This lovely property lies in a quiet cul de sac, within walking distance of amenities and sea. The southeast facing plot has been planted with a very nice mediterranean garden with a fantasy shaped pool and has several terraces around the house, to chase after the sun or the shade. The drive leads directly into the separate garage and gives a flat entrance into the house. From the hall you reach the spacious lounge with a fire place, followed by the glazed in naya with seaview and access to a lovely open terrace and the garden. To the right of the entrance is the separate kitchen, divided into 2 working areas. And further to the right is the guest bedroom and a reformed shower room. The the left of the entrance area is a hallway leading to the spacious master bedroom and another reformed bathroom. From the hallway, a stair leads up to the first floor with the 3rd bedroom with an open terrace with seaview. The whole house benefits from double glazed windows, gas central heating and air condition. The house is to be sold fully furnished. 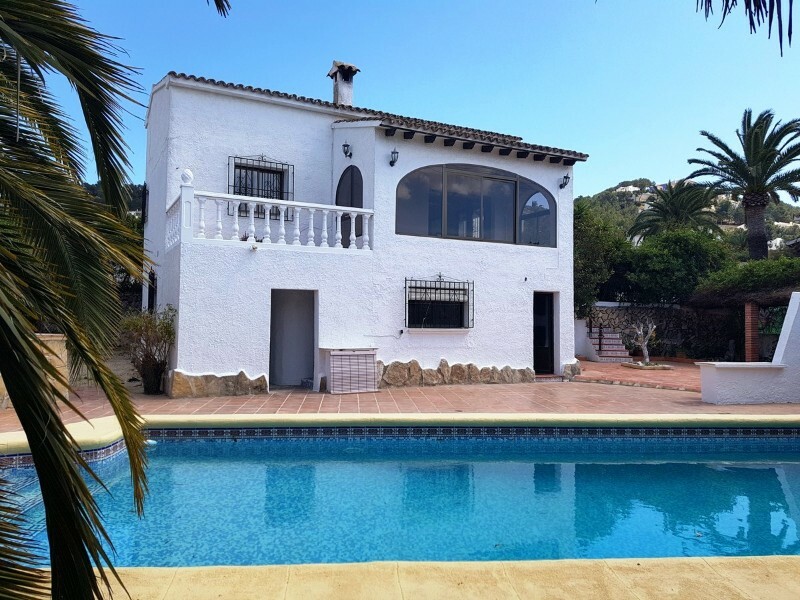 Reduced from 390.000€.